1. What’s your opinion on reliable intralogistics processes? Could you explain in detail? Expectations regarding delivery reliability and flexibility are continually increasing. For example, same-day delivery has become almost standard in online grocery shopping. At the same time, the atomization of orders is increasing, and this has dramatically increased the effort and expense involved in intralogistics. Nowadays a customer orders a product and then orders a second one a few minutes later – and expects them to be delivered together. The changes brought about by e-commerce in the flow of goods are leading to increased connectivity, automation and system integration. Supply chains are organized for seamless reliability, from the commodity sources to the customer’s door and beyond, including handling of returns, disposal and recycling. The expectations of consumers and businesses are shaping the supply chains. Consumers expect products and services to be useful and geared to their individual interests and needs. Businesses, on the other hand, have to focus on productivity and efficient processes. This is where dependable, cost-efficient logistics is essential. But the current trend has raised the bar for logistics so high that stackers and high-bay warehouses are not sufficient in themselves to provide efficient solutions. The technology at the starting points and connections is becoming increasingly important – as well as management of the systems by means of software. 2. What new challenges do you see in intralogistics? In the future, logistics processes will have to be automated and connected in order to achieve cost-efficiency and reliability. Increasing digitization is bringing about fundamental changes in value chains, and completely new business models are emerging. The digital revolution and the associated changes in thinking are creating new challenges for intralogistics companies as well as service providers. In the future, their success will depend even more on the capabilities of their logistics centers. Intralogistics and digitization are inseparably linked. Industry 4.0 has already become a reality, and the internet of things is a part of everyday life in many business sectors. The opportunities are enormous, because the digital systems involved in intralogistics are highly scalable. Intelligent solutions already exist, but we are nowhere near the limits of this technology. For example, more and more logistics companies and warehouse operators are deploying autonomous in-house transport systems that choose their own routes or on storage systems that detect empty locations and fill them in real time. 3. Where are the current growth markets for the logistics & packaging industry? Growth can be expected in every sector. Reliable, efficient solutions for logistics and packaging are in demand everywhere: in the cement, brick, lime and gypsum industries, in agriculture and mining, and in the chemical, pharmaceutical, energy, beverage, food and luxury goods sectors. Our facilities and systems are designed to be adaptable to a wide range of industries. And if they reach their limits, we make the necessary improvements. 4. What is the market situation in the intralogistics industry in 2016 and what do you expect in 2017? The market situation in our sector remains very good. Logistics – which includes intralogistics – is one of the mainstays of the world economy. It owes much of its success to the potential which it offers to companies in manufacturing, services and trade. Intralogistics has thus become a significant source of added value for many businesses. I am certain that this trend will continue in the coming year. 5. What strategy will you pursue to increase the demand for your products/company in the market? We are not only suppliers; we are partners. Partnership is based on mutual trust. Our long-term customer relationships were built on this foundation. And we need to cultivate these relationships. In these times, which are increasingly dominated by e-commerce and related developments, personal contacts are essential. And we provide such contacts through our employees throughout the world, who keep a close watch on local markets and stay in touch with customers. In this way we are able to respond quickly to their individual needs. What’s more, our customers can get everything from a single source. They have only one point of contact. 6. The BEUMER Group recently presented palletizing and packaging solutions for the chemical industry. Can you describe the response of your clients? How did they respond at the Khimia 2016? The responses were positive in every respect. The BEUMER stretch hood A is a highly efficient packaging machine that is already finding wide use in the chemicals industry. To meet customers’ specific requirements we worked with our sales department to analyze their needs and determine what the system must offer. We also brought in manufacturers of packaging and pallets. The result is a packaging system with excellent value for money, low space requirements, high flexibility and simple operation and maintenance. 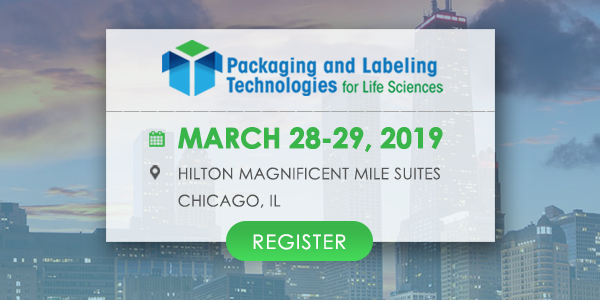 Efficient packaging of palletized goods is especially important to companies in the chemicals industry as a means of gaining a competitive edge. Stretch film can be wrapped over products stacked on a pallet to ensure safe transport and good load stability. The film is highly stretchable during the packaging process and secures the material when it contracts. Unlike shrink film, it requires no heat, which means it cannot stick to the product when it is applied. In addition, it significantly reduces the risk of fire and increases operating safety, thus allowing lower insurance premiums. The stretch wrapping process achieves a very high throughput of 200 or more pallets per hour. We also develop special solutions for very demanding tasks. Especially in the chemicals industry, the contents must often be prevented from making contact with the surface of the containers. Examples are lubricants, adhesives, antifreeze solutions and resins, and the same applies to bulk materials like granulates. In such cases the packaging system lines the inside of the barrel or other transport container with a film hood. 7. Would you recommend working for your company to your friends and to people you know? Yes, absolutely. In the BEUMER Group, employees come first. Our goal is not short-term profit, but long-term success. This only works with outstandingly trained and motivated staff. To have satisfied customers and hold our own against the competition, we must have a team that is committed to the company in a lasting way. And a detailed study has shown that we are one of the best-liked employers in Germany. Together with two social media platforms, a German news magazine interviewed more than 70,000 employees at all hierarchy levels and of all ages. The survey, which covered 22 business sectors, identified the 1,000 best companies with more than 500 employees. We were in 122nd place. In response to the challenges of demographic change and the shortage of specialists, the BEUMER Group is emphasizing employer branding throughout the world. In this way it is also presenting itself on the job market as an attractive employer. By putting our employees in the spotlight, the campaign shows what BEUMER values most: its people. 8. How can customized training help your employees? Without our employees we could never be successful. The BEUMER Group therefore offers its employees a wide range of activities to help them develop their skills and achieve their career goals. This includes external training courses as well as in-house continuing education. From the very first day, employees are given opportunities for growth. Newcomers receive well-structured introductory training to equip them for their tasks as quickly as possible, integrate them into teams and help them become acquainted with company structures. With the increasing internationalization of the BEUMER Group we have added a new HR development tool as a part of our globalization strategy: Employees have access to Onboarding@BEUMER, a training platform to help them adapt on a continuous basis to the increasing demands of their jobs. 9. Can you give an example of how employees can benefit from training courses? Onboarding@BEUMER helps new employees to familiarize themselves with their tasks and provides comprehensive training along with intensive support in the starting phase. The goal is to win their enthusiasm and integrate them into the company. The program comprises several modules, along with training courses on products and IT. In addition, there are company presentations and opportunities to get to know the individual departments. 10. Could you explain the process of finding the perfect intralogistics solutions? Our intralogistics team combines all of the solutions and skills necessary for implementing users’ material flows. Customers receive everything from a single source. We also develop special solutions for particularly demanding tasks. For example, we have installed a highly redundant application for the rubber industry, which enables an efficient material flow, and complex packaging systems, which are used by wood-processing companies throughout the world. 11. 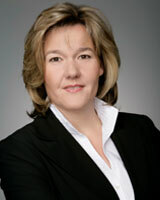 What is the success strategy behind the BEUMER Group? In recent years we have progressed more and more from being a manufacturer of products to a supplier of complete systems for conveying, loading, palletizing, packaging, sortation and distribution. At the same time, we remain strongly committed to our core business areas. Our business is based on innovation, continuous expansion of our product range, the linking of these products to form efficient systems and the provision of related services. This includes system design, various service levels and customized operator models. In this way we pursue our mission of delivering sustainable systems for users’ every need and providing a high level of benefit. In order to have a presence in global markets, we have consistently promoted internationalization and founded or expanded subsidiaries around the world. We have expanded our plant in China and established a new one in Thailand in order to be able to produce locally for these regions. In this way we have experienced consistent organic growth in the past years. In addition, we have acquired companies in other parts of the world. Within a short time they became an integral part of the BEUMER Group in terms of infrastructure, products, solutions, company mentality and regional employee culture.